Notes: The Purple Reef Lobster, also known as the Debelius' Reef Lobster or Orange Reef Lobster, has a purple body, with orange and violet spots. 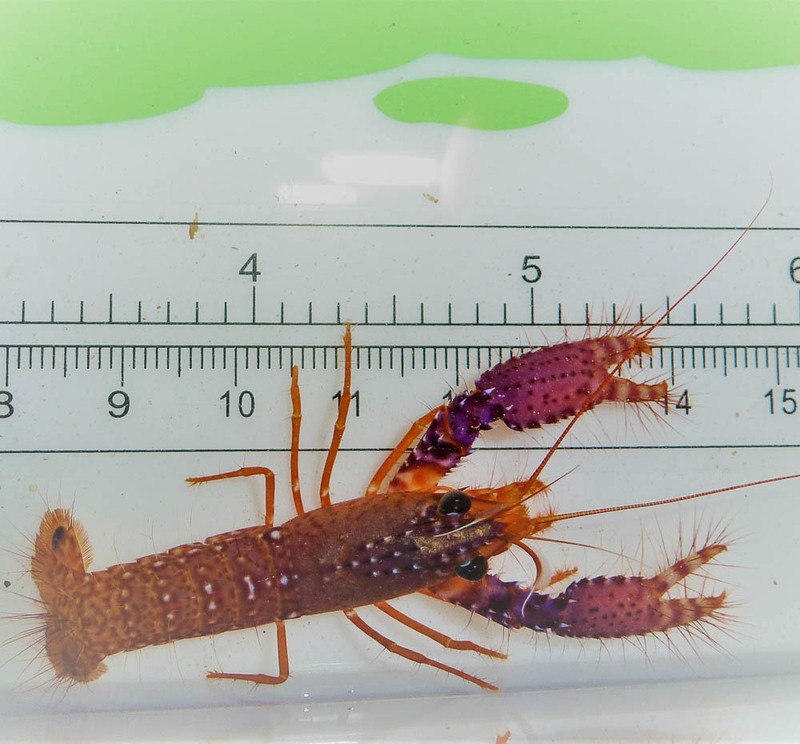 The elongated, flat claws which are used for threats and defense may be purple, as well. To be successful with the Purple Reef Lobster you should supply a thick sand bed and plenty of live rock, for burrowing and hunting. The Purple Reef Lobster will need a secure spot for hiding after molting as it waits for it's shell to harden. The Reef Lobster is described as peaceful, and it will ignore sleeping Wrasses or healthy fish within the aquarium. Caution must be taken when incorporating into a reef aquarium, as it may harm small fish and invertebrates. All Reef Lobsters are very territorial and aggressive towards each other, so only one specimen, or a mated pair should be kept per tank. It is sensitive to high levels of copper-based medications. Most of the diet will consist of food it scavenges, but supplementing with iodine-rich foods will help ensure proper molting.